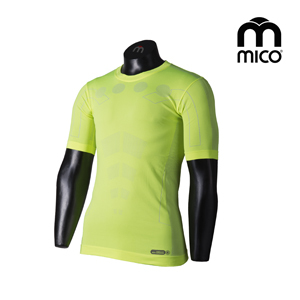 MAN short sleeves shirt. Technical jacquard design, front and back, tone on tone color. 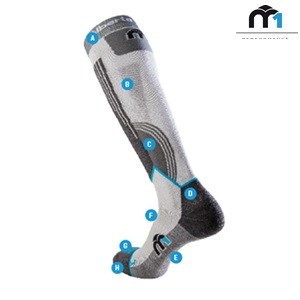 Carnosina MC2 treatment. 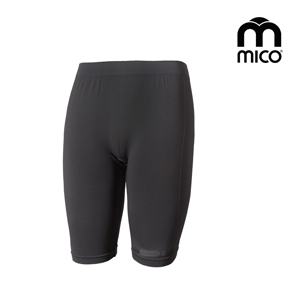 MICO CARNOSINA MC2 LINE Close fitting like a second skin, freedom of movement, perfect thermoregulation. 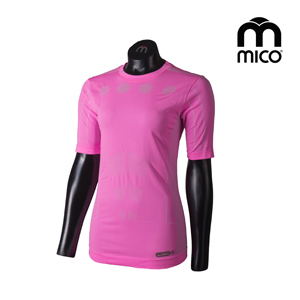 Garment made with Mico Carnofibers ®. MC2 OUTERWEAR line. WOMAN thigh shorts tight. 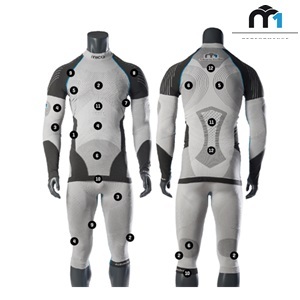 Technical jacquard design, front and back, tone on tone color. Carnosina MC2 treatment. 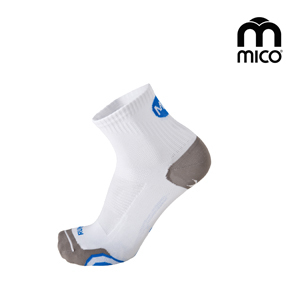 MICO CARNOSINA MC2 LINE Close fitting like a second skin, freedom of movement, perfect thermoregulation. 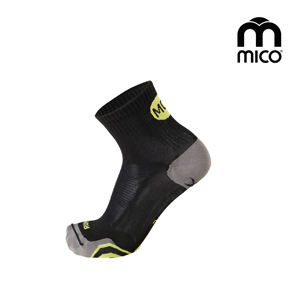 Garment made with Mico Carnofibers ® to be charged by MICO Carnosine MC2.